Water sustainability is increasingly becoming a theme in press, with politicians, as well as in general conversation. 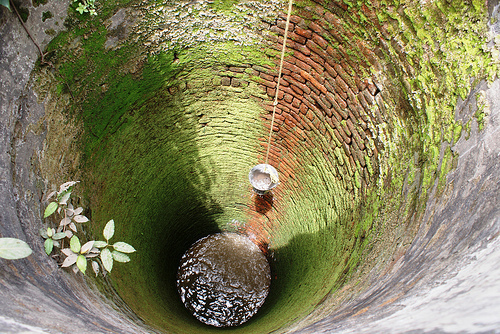 Many individuals are attempting to reduce their water usage footprint by adopting sustainable water projects. One type of project in vogue is water reuse programs that can greatly reduce the amount of water needed from a water utility company and can improve sustainable water. Here we discuss what water reuse programs are and what hope they have for a sustainable future. 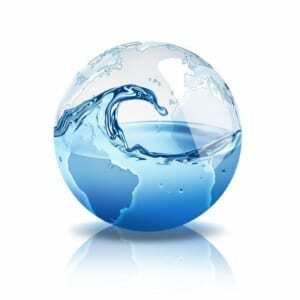 What is a Water Reuse Program? A water reuse program is one that converts waste water, in its various forms, into water that can be used for a variety of purposes. Potable water can be drunk or used in gardens. Converted waste water can be used for widespread usage in agriculture, to flush toilets, and in various industrial and commercial processes. There are many different methods and processes used as water reuse programs including desalinization, reverse osmosis, biological filters, and simple filtering processes. The source of the waste water as well as the ultimate needs of the end user of the water goes a long way towards the water reuse program selected. How Does a Water Reuse Program Add to the Sustainability of Water? A water reuse program can provide numerous benefits to water sustainability. For one, a water reuse program can help to reduce the water that is needed to be diverted from other water sources such as reservoirs. 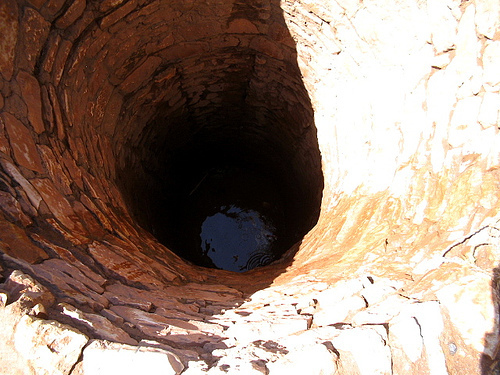 This leads to real savings in the amount of water that is transferred and used. Further, by processing waste water, potable and other useful forms of water are redirected towards use instead of being flushed down with various chemicals which may lead to additional pollution. Cleaned waste water is also used in adding to the water table thus reducing drought conditions and improving the quality of life for people, animals, and plant life that is based on water usage. An added benefit of water reuse programs is that the population often becomes more excited about sustainable water projects by witnessing one in existence and undergo steps to reduce their usage of water overall. Communities that have water reuse programs in place commonly have lower water usage per capita due to increased attention towards water conservation. Further, it is also easier to generate support in these communities for more organized water reuse programs. Some innovative communities are using waste water to create artificial wetlands. Wet lands provide an area where a diverse number of animal and plant life can survive and provide for excellent environments for fishing farms and other productive regions. By adding wetlands into an area and reclaiming this land from farm or residential use, there results a net decrease in population in these areas thus leading to a more sustainable water supply. Sustainable water projects are greatly boosted by water reuse programs for the reasons outlined above. Water reuse programs are therefore springing up around the country to control and limit the amount of water needed. Sustainable water reuse programs have had a significant impact on water usage and can greatly control the amount of water being used on a regular basis, thus adding to the concept of water sustainability. Today’s article was written by Amanda Sani, professional blog writer for Sustainable Water Solutions. She is originally from sunny San Diego, California and spends her free time reading Game of Thrones and exploring the beach. 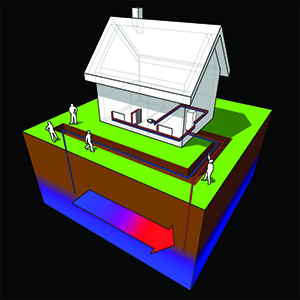 Geothermal energy used to be a power option limited to homes and businesses in geologically active areas. But, as the industry has grown and new technology has been developed, geothermal energy is rapidly becoming a viable choice for everyone. Continue reading below to find out five reasons you should consider getting your power from the Earth. Would you like to speak to a Hydro-Terra Group representative about geothermal solutions for your facility? Give us a call at (410) 861-5376 or click here to contact us online! 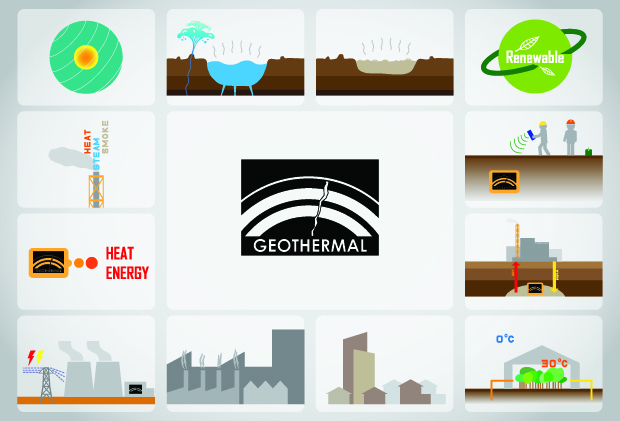 First and foremost, geothermal energy is environmentally friendly. While there are potentially waste products and the possibility of releasing greenhouse gases to some degree, it’s not nearly as carbon heavy or loaded with environmental problems as burning oil or coal. In fact, the most waste you’ll see from a geothermal energy plant? Steam, released as part of the process of creating electricity. Especially if you want to run a green facility, a geothermal plant can ensure that you meet your carbon footprint reduction goals. Solar panels need bright days to power your facility, something not even the best solar technology can really overcome. 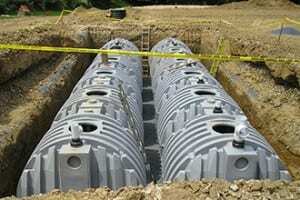 Oil tanks can leak run dry. Coal plants may stop firing if there’s an environmental problem. Nuclear plants… well, those aren’t popular for a reason. But geothermal energy is active day in and day out, always working, always churning, always using the heat of the Earth to create power. The day your geothermal energy plant stops working is the day you’ve got much bigger problems; the Earth isn’t going to stop being warm for a long, long time. After the initial setup of a geothermal energy plant, you’re pretty much in the clear, financially. You have to pay for plant upkeep and staff, of course, but that’s it; there’s no fuel you have to buy by the ton, no worries about supply drying up or prices suddenly spiking. Geothermal energy doesn’t start costing more because of some geopolitical problem half a world away, and it doesn’t take months for the price to go down after a spike; the price stays stable, and a lot lower. It’s worth noting that power generation is always going to come with some risks to staff and equipment, and proper safety procedures have to be followed around hot steam and enormous amounts of electricity. But geothermal energy cuts down on a lot of risk. There are no big tanks of flammable liquid to worry about, no chemicals you’ll need to dilute the fuel, no concern about radioactivity or worries about toxic gases or smoke. Keeping up a geothermal energy plant is a lot safer than you might think, and if nothing else, it smells one heck of a lot better. All the panic about “peak oil” and other talking points you see on the news obscure a far more important problem for your facility; the cost of fossil fuels is only going to keep rising. As there’s more demand for them, and as they become harder to get, fossil fuels are going to price themselves out of the market well before we manage to get the last drop of crude out of oil sands. Geothermal energy is a case of thinking ahead; by anticipating that problem now, and acting to fix it, you’ll put your facility on a more secure footing. 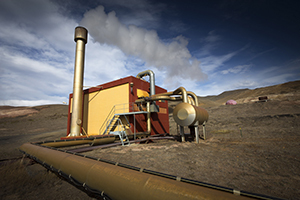 In short, geothermal energy makes your facility safer, cleaner, and above all, more reliable. And who doesn’t want that? Businesses and private citizens alike are looking into how to lessen their impact on the planet. Greening your home and business can be more than just a charitable act, though; in the long term, it can save you money, reduce your dependence on outside utilities and resources, and even ensure a healthier, happier life. But how does wastewater treatment fit into that plan? First, you need to define “wastewater.” Sometimes referred to as sewage, wastewater is actually water that has somehow been lowered in quality due to human behavior. Examples of wastewater you’ll find in any home include water left to soak pots, water draining out of your washing machine, water that goes down the drain during a shower or bath, and, of course, the traditional meaning one thinks of with “sewage.” And all of this water can, and should, be treated. What Can You Do With Wastewater? Get more control of your water with wastewater treatment. It’s important to note that water doesn’t have to be restored to drinking water standards to be reused; for example, there’s no reason the water drained from your washing machine can’t be used to wash your car, provided you install the right wastewater treatment system. The main problem is that there can be all sorts of contaminants — ranging from leftover soap to heavy metals and oils — suspended in the water, making it unfit for human consumption. 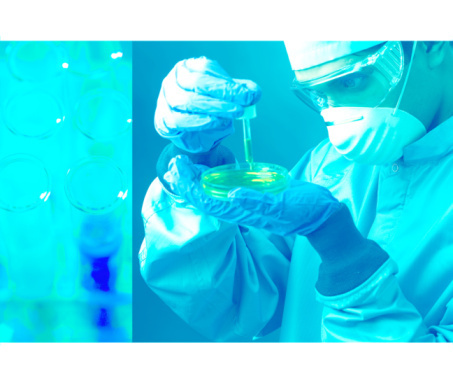 So, you need to construct your wastewater system to remove contaminants while being biologically friendly. How Can Wastewater Treatment Help? A good example of this is de-nitrification. Nitrogen is a naturally-occuring result of various human processes, and in gaseous form, it’s not bad. In fact, many organic fertilizers are rich in specific nitrogen compounds that essentially serve as plant foods. But there’s such a thing as too much of anything, and nitrogen is no exception. Nitrogen in the water supply is a serious environmental concern; as more nitrogen filters into the water supply, it forces out the oxygen, literally asphyxiating aquatic life. The good news, though, is that you can construct a wastewater treatment using naturally-occurring bacteria that pulls the nitrogen out and puts it to better use growing plants. And new and more innovative solutions are being engineered every day to restore water to a cleaner, purer state. 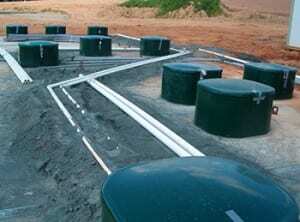 Properly built, a wastewater treatment system reduces the environmental impact of everyday living. Just as importantly, though, it allows you to reduce your water consumption and pulls contaminants out of your water supply. Wastewater treatment allows you to “recycle” water; instead of letting it just go down the drain, and possibly into your water table, you can use the same water again and again for different purposes. The treatment system means it’s perfectly safe, and even better, it means there’s less impact on your wallet. If you think a wastewater treatment system is right for you, click here to contact us. For more than 20 years, Hydro-Terra’s team of geologists, engineers, and designers have been working to develop wastewater treatment systems that protect the environment while giving you more control over your water supply. If you want to reduce your footprint, and limit your water use, use a wastewater treatment system from Hydro-Terra.